The Carbon Rush/La Ruée Vers le Carbone press. Read what they are saying about this award winning feature film narrated by Daryl Hannah and Karine Vanasse. "Recommended. 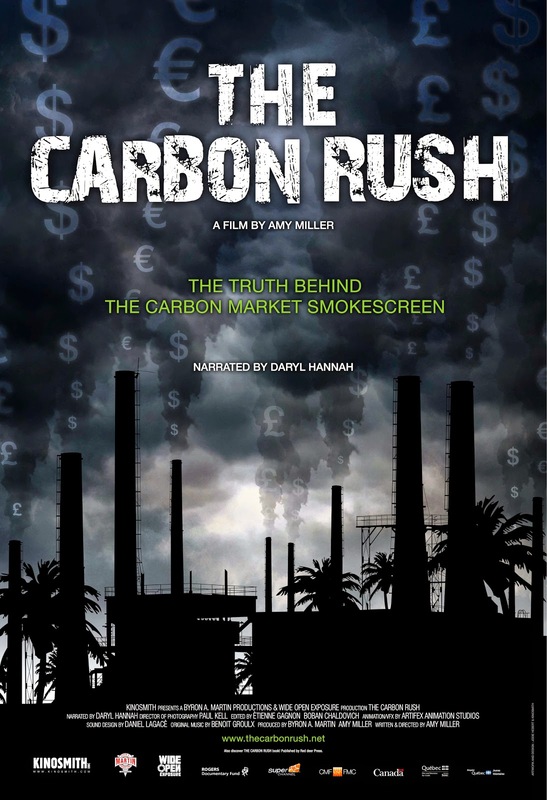 A ground breaking documentary about the exchange of carbon credits resulting from Kyoto Protocol. It uncovers the truth behind this exchange on the global environment, as well as its economic impact on several developing countries, revealing global deception about environmental rehabilitation coupled with corruption of local governments." “One of the finest, most carefully researched and executed political exposés of the year. The Carbon Rush champions the voices of those most impacted by Western economic schemes designed to put band-aids on climate change while destroying communities and lives. It is an incredibly moving, empathetic and measured film that sticks inside you like a thorn that you want to do something about, that you must do something about."